We have started New Event and it's called Vote Reward Event. Win great Creadit Rewards Every month just by Voting for our Server. We will automatically Reward Top 30 Players who vote the most Monthly. 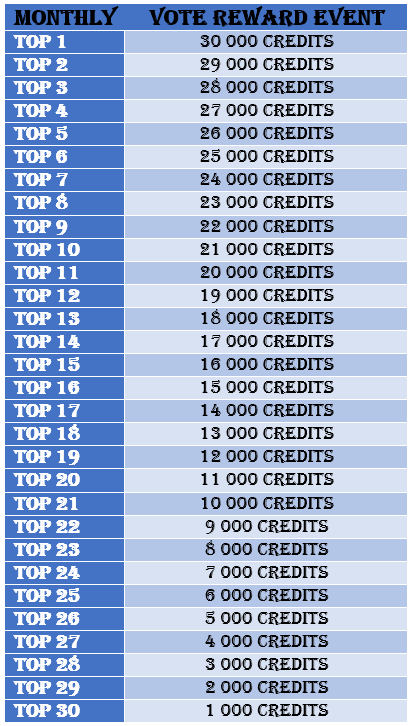 Top 1 = 30 000 Credits, and every next postion will get 1000 Credits less. Event starts on the first date of month and ends on the last one. Rankings clear on each 1st date. System will not add rewards if it was not a fully 1 month! Great event! Thanks a lot! 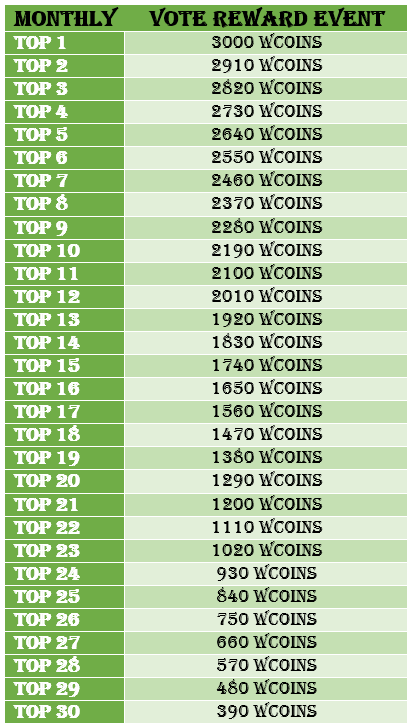 Admin We will automatically Reward Top 30 Players who vote the most Monthly. This event becomes pay2win if every unique vote with SMS counts. What is your philosophy on the matter? I don't think people willing to pay for rewards should be rewarded with event rewards. Events are generally used to let everyone participate. Not a measurement of who sends the most texts in my humble opinion. You don't have to pay every time you vote, you pay one time about 40cents and vote all ur life! Will there be a reward for August on x60? я проголосовал на mmotop 150 раз а на сайте этого не показывает, что делать? Updated Rewards for X60 server!